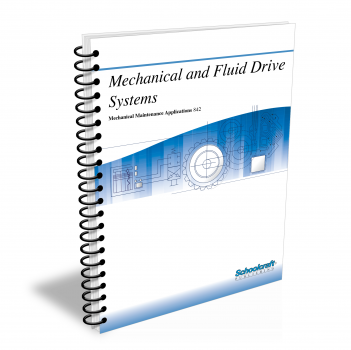 The Power Transmission Equipment textbook covers a wide variety of commonly used mechanical drives and couplings. It also describes special drive components, including torque-limiting couplings, floating couplings, and various kinds of clutches. It shows various kinds of gears, including spur gears, helical gears, and worm gears. The textbook describes and illustrates the application, installation, and maintenance of gear drives. Does your curriculum require additional topics not included in this textbook? 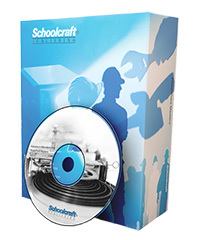 Build a customized version of the Power Transmission Equipment textbook below. List the factors that affect the power transmitted by a belt drive. Name the main components of a belt drive. List the standard V-belt designations. Explain the reason for using group belts. Explain the differences between chain drives and belt drives in transmitting power. Explain how a roller chain drive works. Describe the construction of offset roller chain. Explain the differences between sprocket types A, B, and C.
List the steps in installing a chain drive. Define the following terms used to describe gear drives: pitch circle, pitch diameter, working depth, tooth face, tooth flank. Calculate the diametral pitch of a gear. List advantages and disadvantages of helical gears. Explain the differences between herringbone gears and double-cut helical gears. Define the following terms used in discussing worm gears: worm lead, worm lead angle, normal worm pitch, worm axial pitch. Explain how additional speed reduction can be obtained with shaft-mounted gear drives. Describe a worm-gear drive and a miter-gear box. Give a general explanation of gear drive installation and maintenance. Define mechanical power, thermal power, and overload capacity. Explain what determines the service factor of a gear drive. Describe a concentric-shaft gear drive and a right-angle-shaft gear drive. Explain how parallel-shaft gear drives are lubricated. Identify the main criteria for selecting adjustable-speed drives for industrial plants. Explain the operation of a variable-speed belt drive. Describe how to control variable-speed drives. Describe the belts and chains used for variable-speed drives. Explain the operation of a roller-type variable-speed drive. Determine the corrections needed to align two machines, using the reverse-indicator method. Determine the corrections needed to align two machines, using the face-rim indicator method. Determine the corrections needed to align three machines on a common centerline. Determine the corrections needed to align two machines separated by a long floating shaft. State at least three advantages of using laser alignment equipment over using dial indicators. List three functions usually performed by a coupling. Describe two types of jaw couplings. Name an application for molded rubber couplings. State an advantage of chain couplings. Explain the operation of a shear pin coupling. Describe a torque limiting coupling. Name an application that involves a floating shaft. Describe a limited end float coupling. List advantages and disadvantages of spacer couplings. Explain the purposes of a clutch. Describe the operation of a friction clutch. Explain the need for overrunning clutches. Name at least one application for an electric clutch. Explain how a fluid clutch works.